I had never heard of beartooth pass before the summer of 2017. 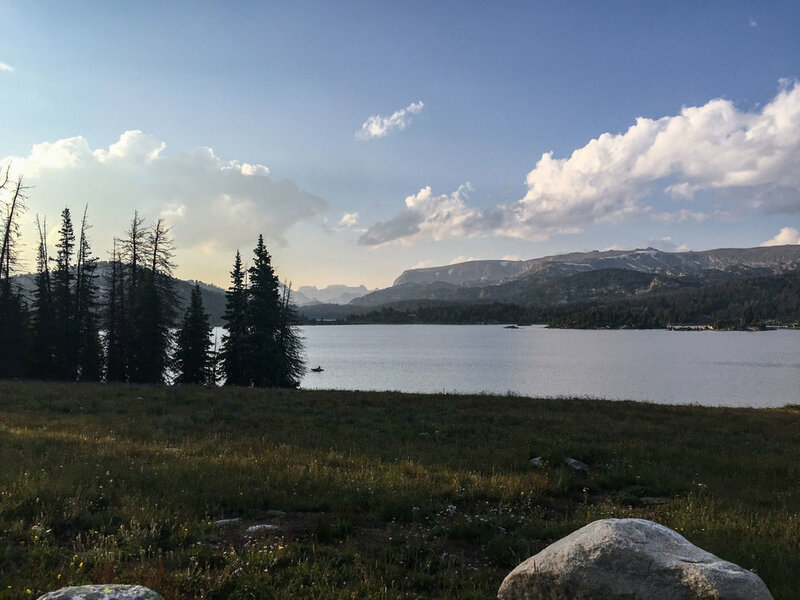 The field crew had driven through the beartooth pass on the way to Yellowstone, and W drove through the beartooth pass back to Wisconsin at the end of his field season. W told me how amazing this place was. He’d gone there when he was younger of course, but forgotten about it. Since my dad was gonna come that summer for the wedding, I planned our trip to go through the beartooth pass and on the beartooth highway. 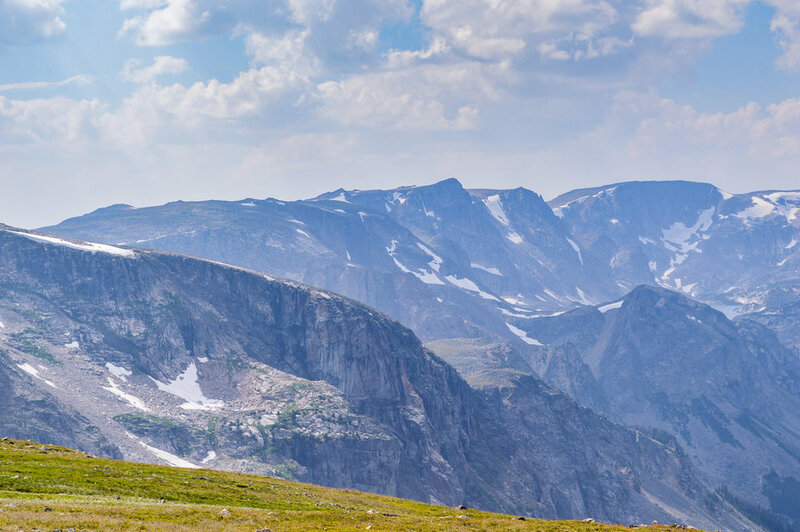 The Beartooth Pass is exactly what it sounds like. A pass through the mountains, the Beartooth Mountains. You drive up in elevation and then you drive back down again. 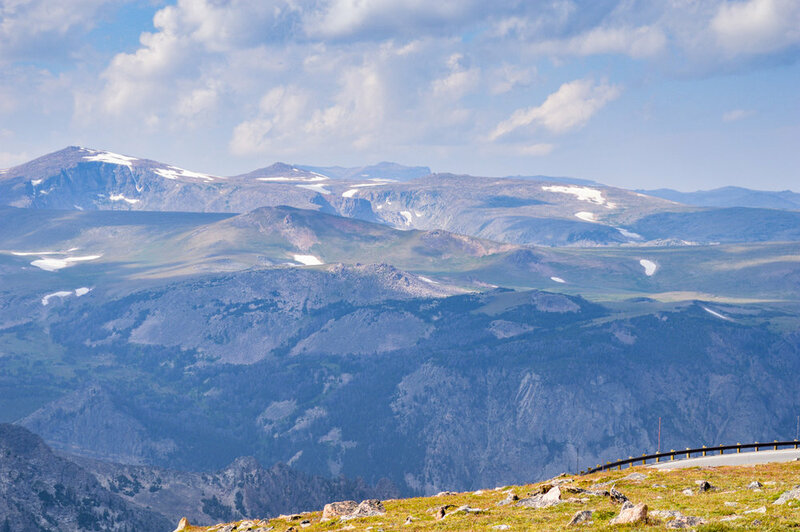 The Beartooth Highway is one of the most scenic highways in the US, 68 miles of unbelievable landscape. I know there are quite a few of them, but if you are into mountains, alpine lakes and camping this is the route to choose. If you are lucky enough to backcountry hike too, by all means you have to. This part of the US is so beautiful. I was driving the whole way so I didn’t get that many photos of the actual drive, but my dad took plenty. We camped near the top of the pass so I have plenty of photos from there. 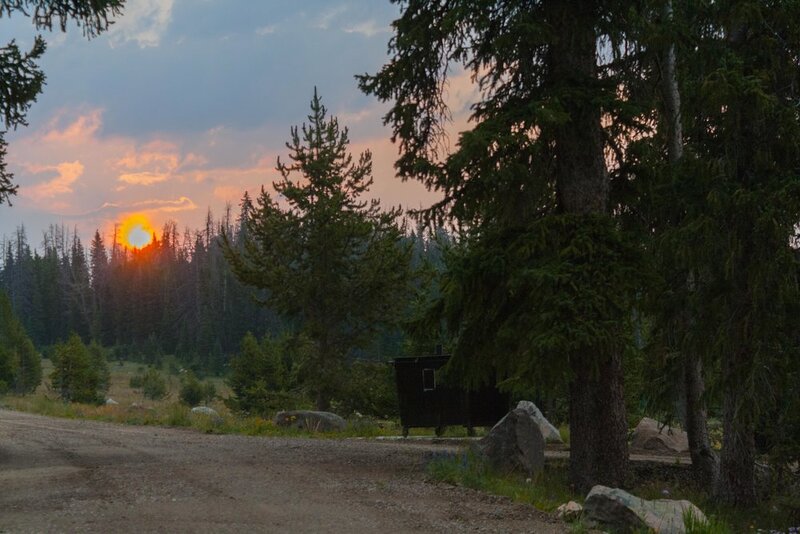 Most of the campgrounds on the Beartooth Plateau are first come first serve and cost between 10-15$. 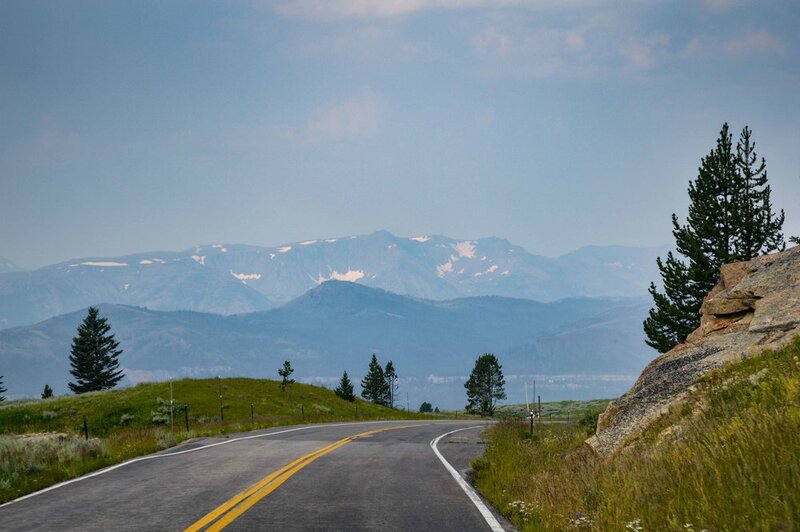 Beartooth highway runs through Shoshone National Forest. 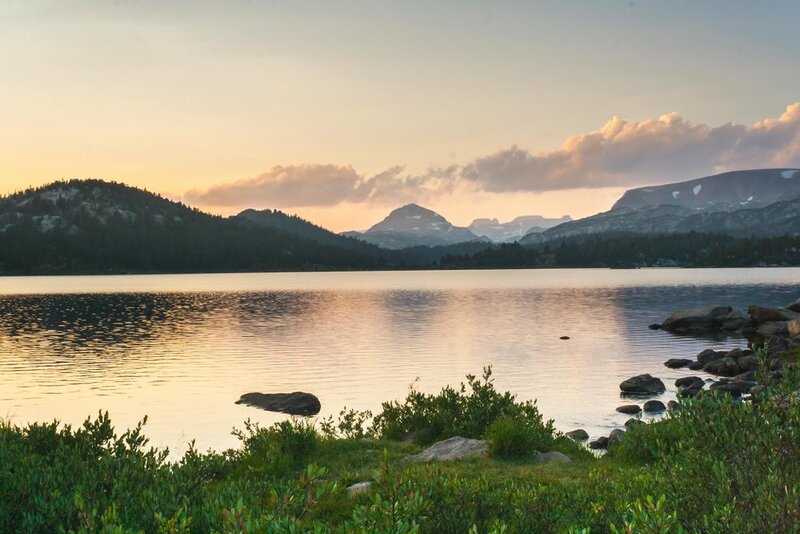 As with most National Forests in the US you can do dispersed camping, which is free but comes with some restrictions you’ll have to read up on. Additionally, you will have no amenities, which mean no running water or toilettes. Obviously they don’t take card at most places and you have to pay the fee by adding the exact amount to an envelope, so we always had cash, dollar bills and larger bills to be able to pay the camping. 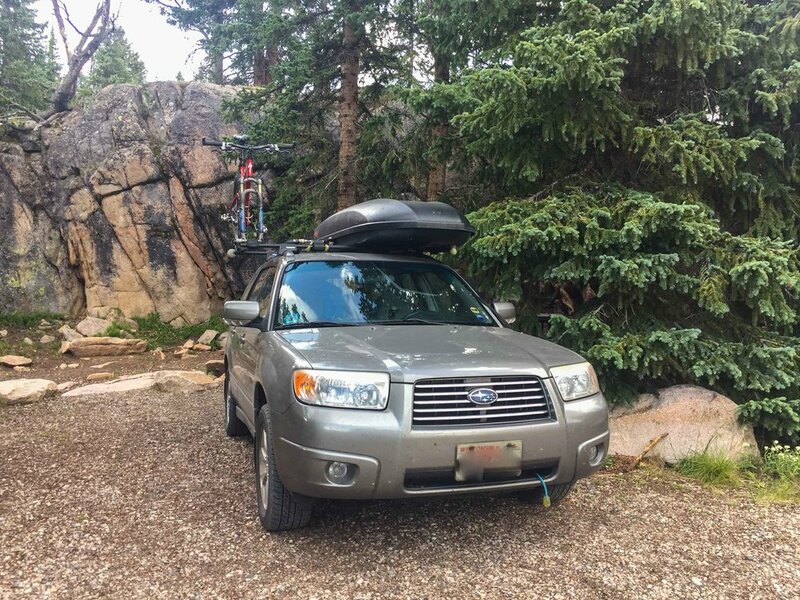 When you get to a campground in the US you drive in, search for a spot, park the car and then walk back to the fee station. There you grab an envelope and fee slip, add the fee and put in all information of the car and camping spot on the slip, and then you take one part of the slip for your car and leave the other in the envelope with the fee. Usually there is a permanent groundskeeper at most popular campgrounds, they can usually be found in a large RV somewhere close to the fee station. Their job is to answer questions and to empty trash, clean toilettes etc. Since we had been driving all the way from Madison, WI, this was our second camping night. The night before we had stayed at a free campground in Badlands National Park. The drive between Badlands and Beartooth Highway was fairly short, compared to the one we had done the day before. I had picked out a couple of campgrounds to choose from, close to the “top of the world”, which is the highest point of the pass. I had written down the campgrounds I was interested in based on photos I could see on google maps, plus I really wanted to be next to a lake. We rolled into the first campground on my list around 3 pm (Island Lake campground, which is an all first come first serve camping ground) and managed to snag the second to last camping spot. Success. 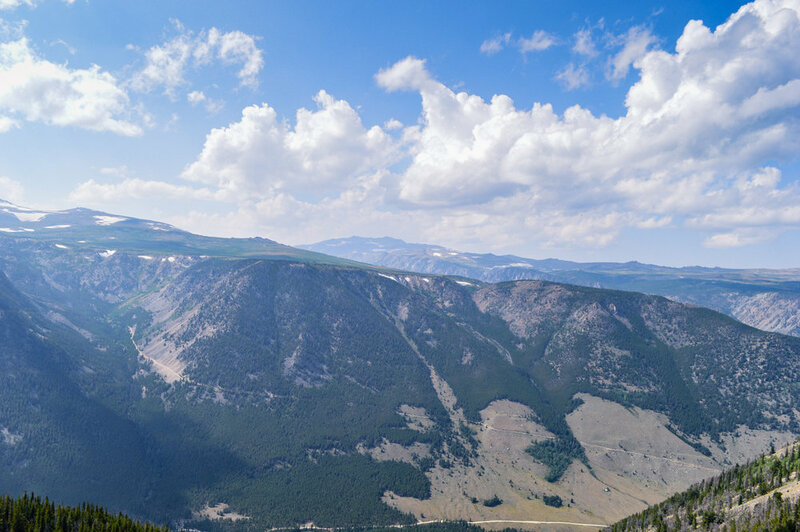 The campground sits at a whooping 9,500 feet, and the highest point along the Beartooth highway is 10,974 feet! The first thing we did was to set up camp, we had two tents which created a lot of space for us. Then I handed my dad the bear spray and taught him how to use it if need be. You are in bear country now, even though the highway is high up in elevation the bears are around. When you camp in bear country there are a couple of things you need to think about. First, smell. 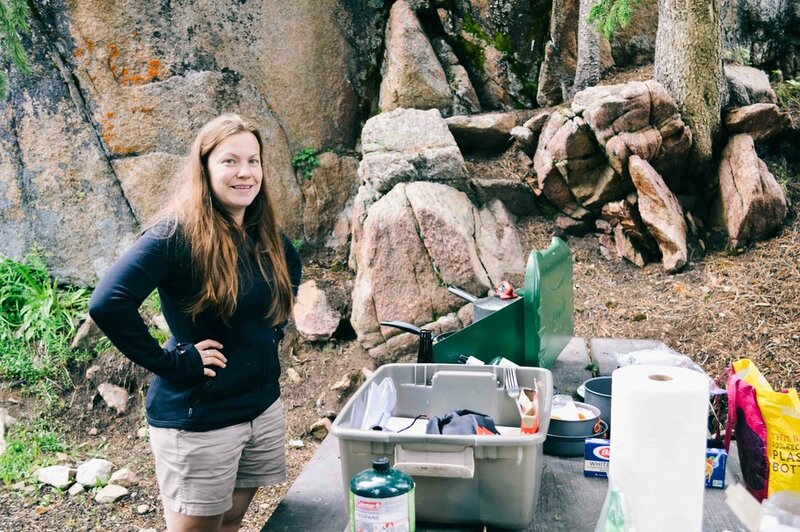 Had we been in the backcountry we would have chosen more carefully what we would cook, and in a campground with a lot of other people around I tend to feel more “safe”. You also can’t control what other people cook so, I feel like it doesn’t really matter what you cook at a campground. At the campgrounds in bear country you have to store your food in a bear proof locker, which they provide you with at the campground. In most areas the car counts as a bear proof locker, but in some areas like Colorado this is not always the case, because the bears have learned to open and break into cars. In northern Wisconsin and Minnesota they recommend you to cover your cooler if you keep it in the car, since bears have learned to associate coolers with food and will break into your car if they spot a cooler. 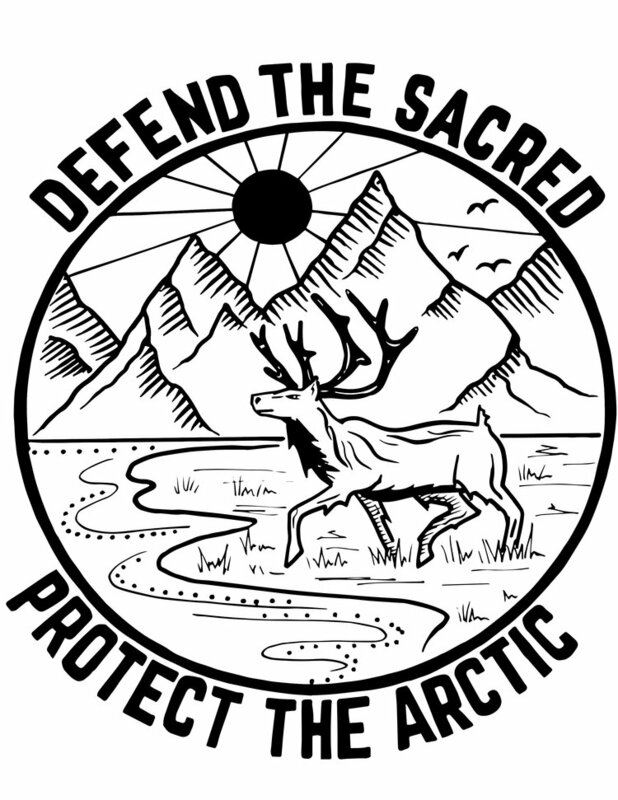 When I first moved to Alaska I got accustomed to sleeping with a knife by my hand in the tent. 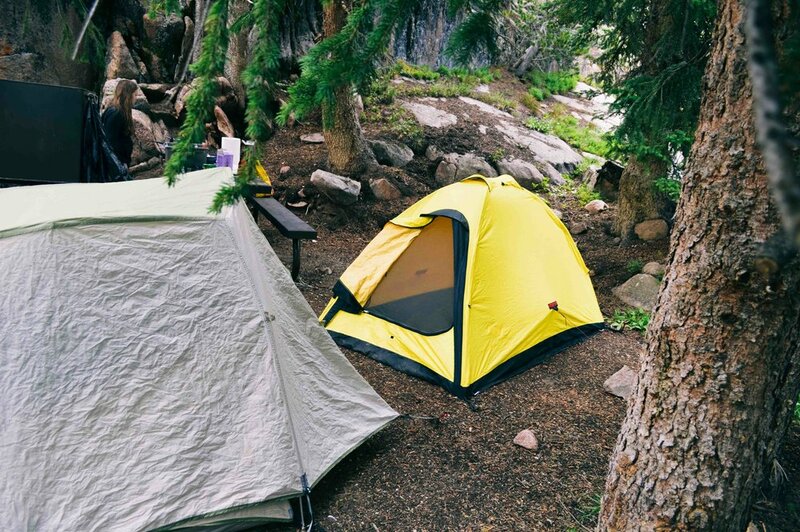 I had heard stories about bear encounters in tents, and also during field safety classes and outdoor classes they talk about the importance of being able to cut yourself out of a tent. Obviously these things don’t happen, maybe once in a blue moon, but if it does, at least you are prepared. Somewhere during the years in Alaska I started to forget about this and it wasn’t until a couple of summers ago, when 2 people in two different locations were killed by two different bears within a couple of days, I remembered the importance of a knife. That summer I forced W to buy a knife for his upcoming field season. W and I have car camped a lot by now, and a fair bit in bear country, we spent a week or so car camping in Yukon and British Columbia during my move from Fairbanks to Madison. 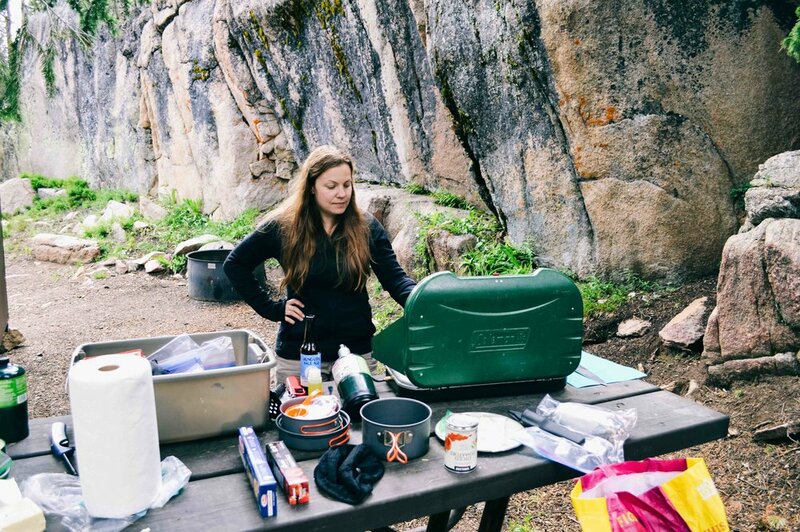 We have a pretty good system going now, and we are pretty used to our car camping kitchen set up, even though it sometimes fails if we haven’t done it in a while. After dinner we took a walk down to the water. It was such a beautiful evening, calm, pretty warm, plenty of mosquitos, but a little DEET usually takes care of that. I am always so amazed about how beautiful the world can be. I mean just look at it. We spent quite a while down there, by the lake. Watching the colors of the sky change, talking about the roadtrip and everything we had seen. As I look at these photos now, I can’t believe how beautiful it was. And the fact that it is so easily accessible, well, once you are in Montana and Wyoming. The next morning we woke up to the smell of fire and a bloodred sun. Just as in Alaska, Montana and Wyoming have fires too, and this summer was no exception. Just like our wedding day we could see the haze in the distance this morning. We started the drive fairly early, but first, we had coffee and breakfast. 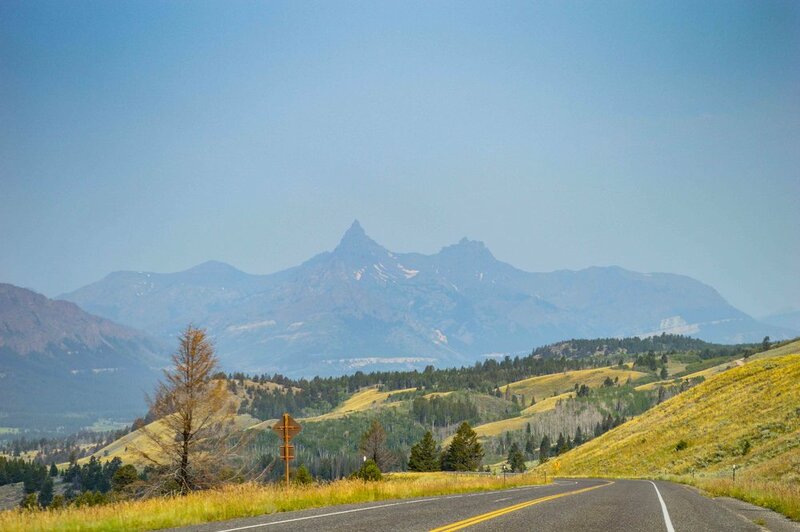 Our next stop was Bozeman, and to get there we were going to drive through Yellowstone. 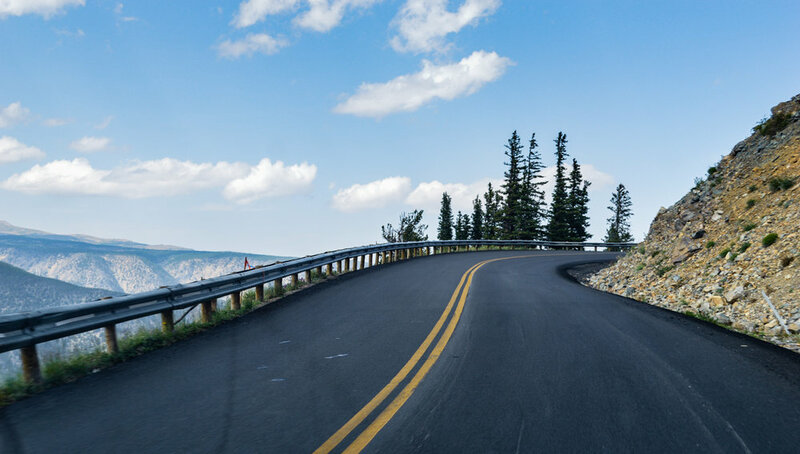 The roads along Beartooth Highway was actually fairly empty, which surprised me. There are always motorbikes and even bikes along this road, so keep an eye out for them. I can’t remember what the speed limit is here, but it is very low, maybe because it’s so windy and narrow? We took it slow as we drove the rest of the way, watching the beautiful landscape go by, all the mountains, the forest and the random animals along the way. 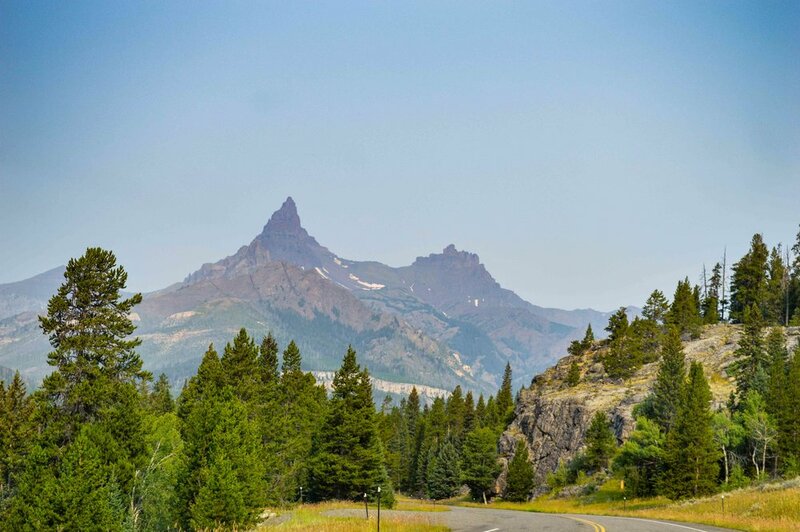 What is the most beautiful highway you have driven? 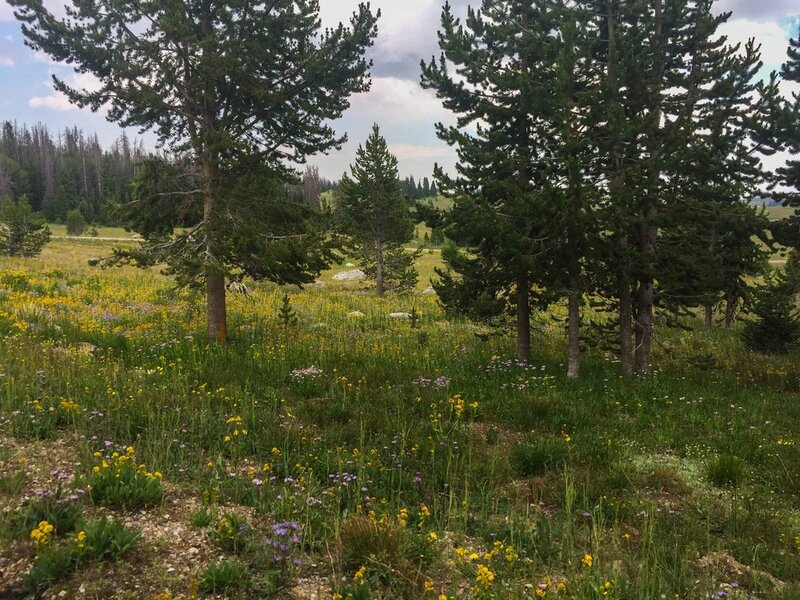 Posted on February 22, 2019 by Ann Rumbleinthearctic and filed under The great wide open, Nature, Flashback Friday and tagged Scenery Scenic highway Shoshone National Forest National Forest roadtrip road trip camping Beartooth Pass Beartooth Highway elsewhere Summer Summer Adventures 2 Shoshone Elsewhere Mountain Mountains 2019.